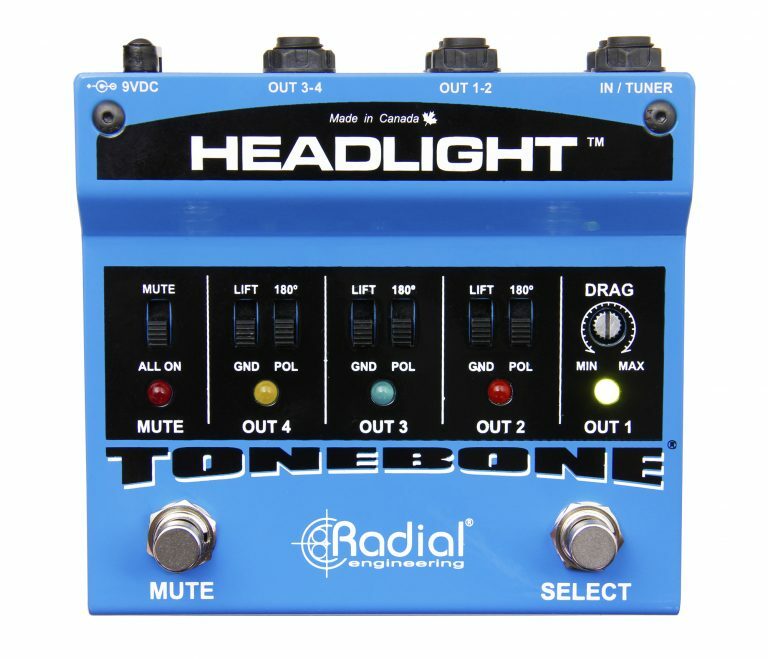 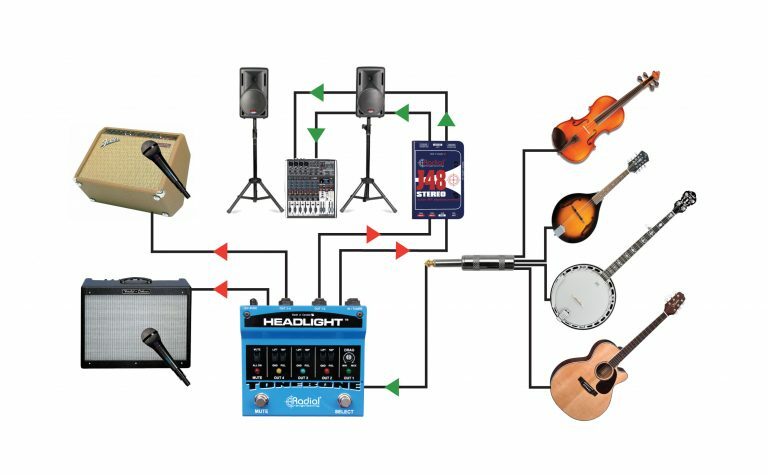 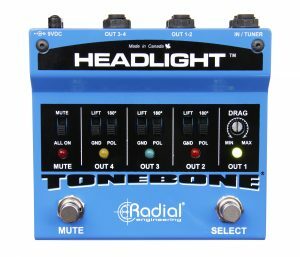 The Headlight is a unity gain guitar amp selector designed to easily integrate onto a pedalboard and provide the ability to switch between as many as four amplifiers with a single footswitch. 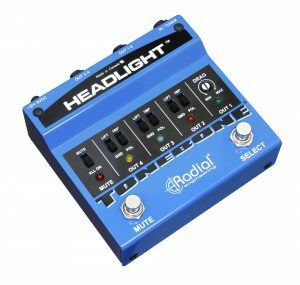 The Headlight has a compact footprint that will fit on any pedalboard, but it's still powerful enough to drive up to four amplifiers without sacrificing on tone. 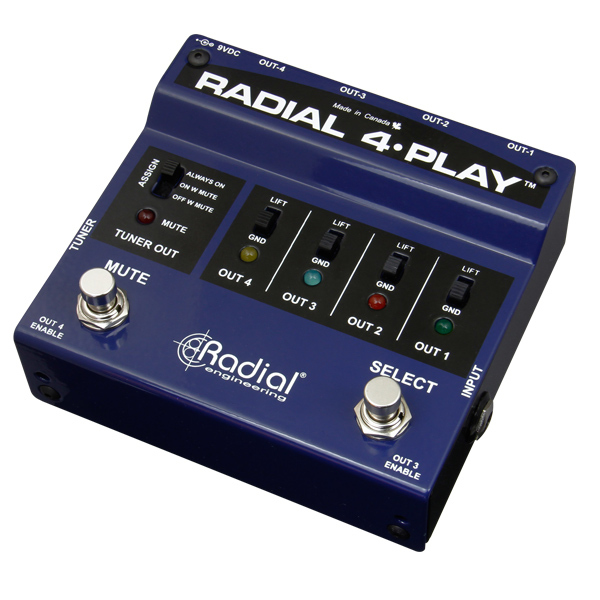 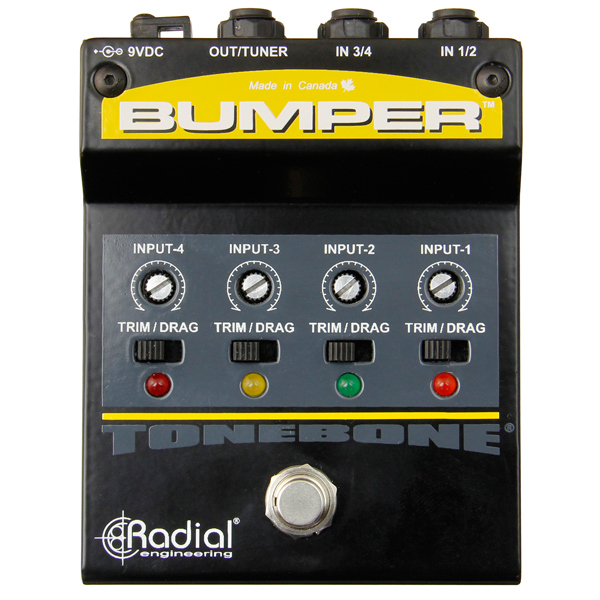 The input features a class-A buffer along with Drag Control load correction that allows you to optimize the impedance for your pickups and recreate the feel of plugging your guitar directly into an amp. 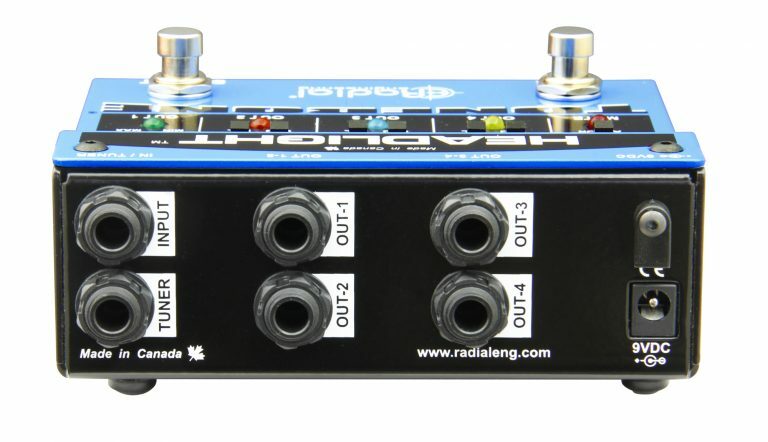 Custom transformers isolate the outputs to prevent buzz and hum from ground loops, with ground lift switches to further alleviate noise problems. 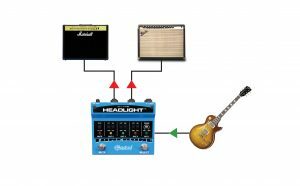 Should you really want to get loud, the mute footswitch can be configured as an 'all on' switch, activating all four amp outputs simultaneously. 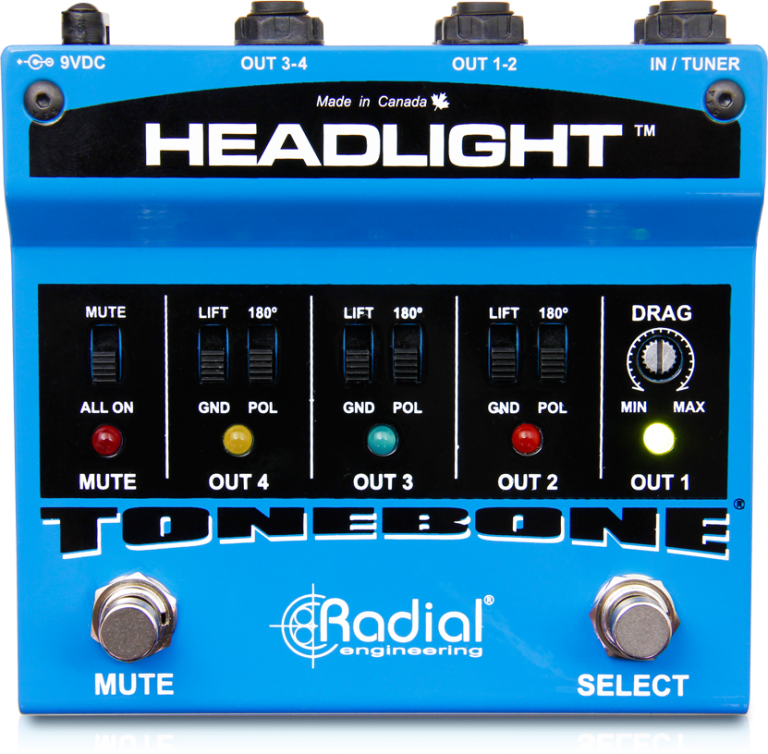 Use the Headlight to switch between four stage amps to create the ultimate setup for clean, crunch, overdrive and power solo! 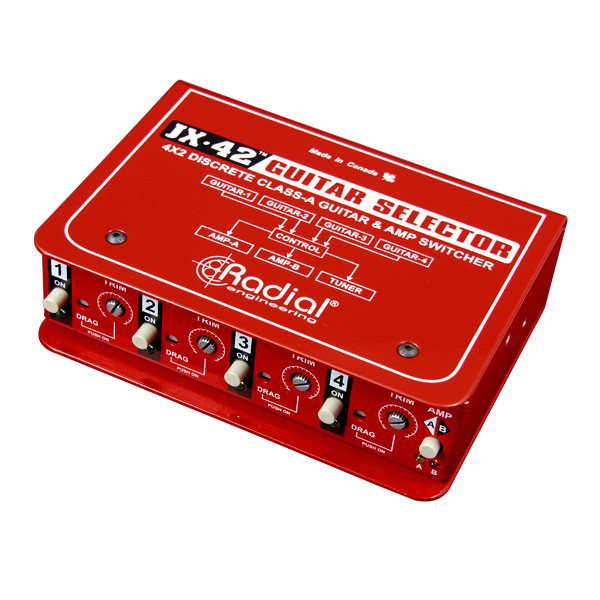 Simply depress the selector footswitch to select the amp you want. Super bright LEDs let you know which amp is active. Use the mute footswitch for quiet on-stage tuning. 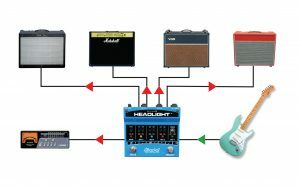 Connect your two amps using outputs 1 and 2 and select between them using the right-hand footswitch. 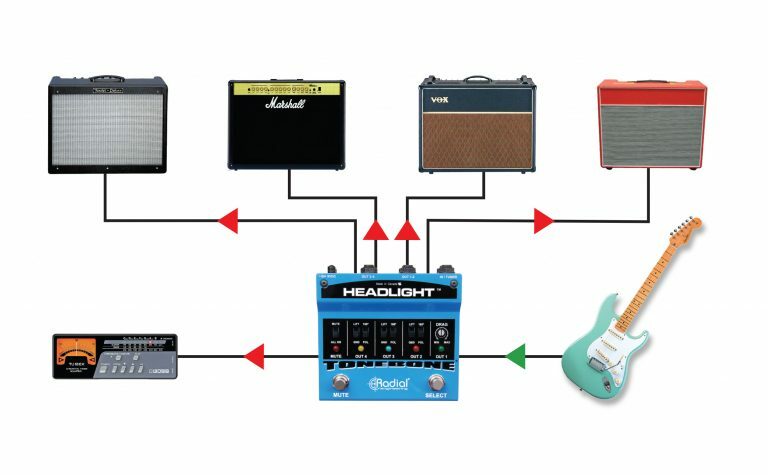 Set the left-hand footswitch to ALL-ON and when depressed, both amps will play. 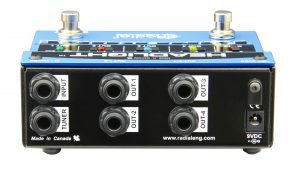 The isolation transformers will prevent buzz and hum from ground loops when both amps are on. 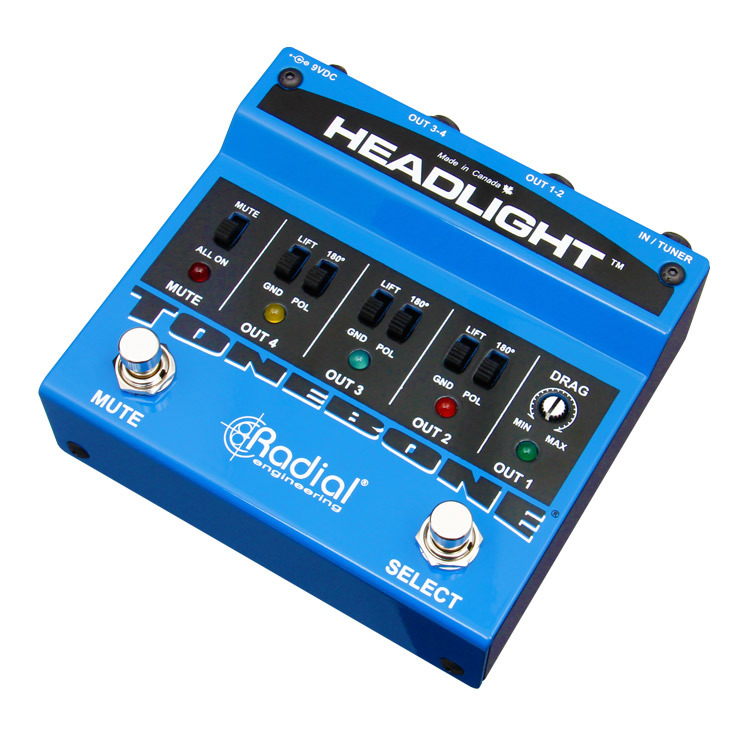 Using the Headlight you can feed both direct boxes and amplifiers. 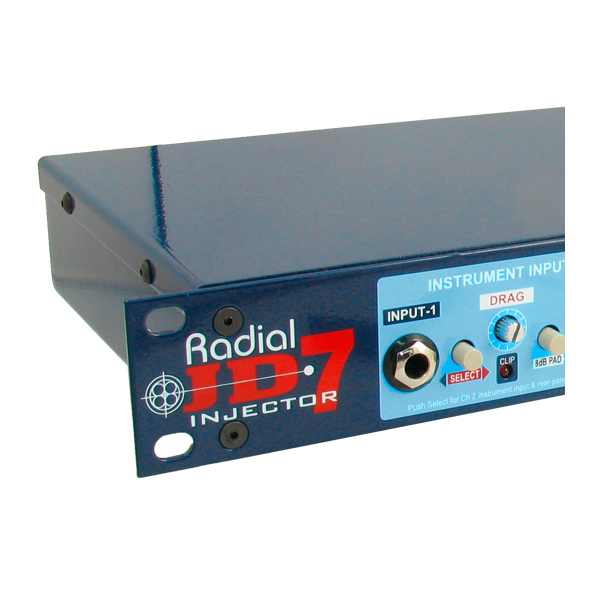 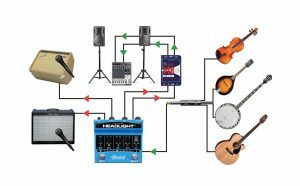 The outputs from the direct boxes can be sent directly to the mixer and stage amps can be mic'd.